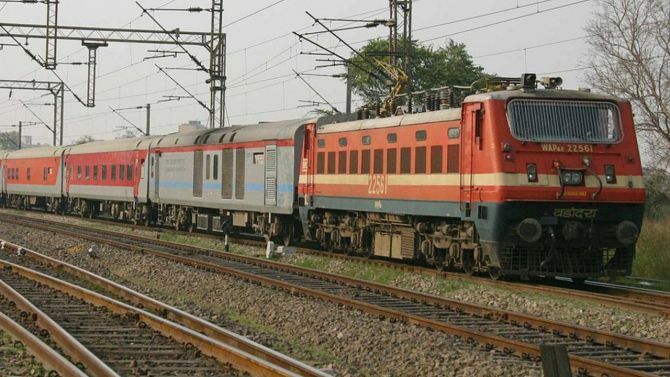 The Indian Railways has decided not to roll back the controversial dynamic pricing or flexi-fare system on premium trains, similar to the pricing method used by cab aggregators during peak demand. A review committee on flexi fare submitted its report to Union Railways Minister Piyush Goyal on Tuesday. Sources confirmed the minister does not want a rollback of the innovative system of pricing. During 2016-17, the scheme contributed Rs 371 crore additional revenue to the Railways, followed by Rs 860 crore in 2017-18 and Rs 262 crore during the first three months of fiscal 2018-19. The decision comes despite the national transporter facing the wrath of the Comptroller and Auditor General (CAG), citing the decline in occupancy rate of such trains. Even in AC three-tier, one of the most profitable classes, occupancy dropped significantly after introduction of the flexi-fare scheme, and the share of vacant berths increased from 0.66 per cent to 4.46 per cent. A parliamentary panel report had also criticised the government for charging more than the aviation sector in premium trains, without improving service. Interestingly, the Railways, facing heat from the public over punctuality, stated that following the automatic recording of punctuality data introduced with the help of data loggers (an electronic device that records data over time by sensing status of relays) - it is getting more accurate punctuality figures. The data loggers showed a low punctuality of 59.5 per cent in May, though it improved to 63.3 per cent in June, 70 per cent in July, and 73 per cent so far in August. The Railways Board is pushing for introduction of global positioning system (GPS) in all railway locomotives. At present, the Railways has provided data loggers in 41 stations including Howrah, Mumbai CST, Deen Dayal Upadhyay Junction, Lucknow, Kanpur, Chennai Central, Ahmedabad and Bangalore City. The Railways are also working on introduction of close circuit television (CCTV) in all the stations and trains. A tender on introducing CCTVs in all the stations will be floated this week. The Railways will also float a global tender for procuring 200,000 tonnes worth rails over Rs10 billion. This comes after a global tender was called off recently, citing quality issues. Global majors including Sumitomo Corporation, Angang Group International, Voestalpine Schienen, East Metals, CRM Hong Kong, British Steel France Rail and Atlantic Steel had participated. However, the Railways had placed a developmental order of Rs5.36 billion for 100,000 tonnes rail with Jindal Steel and Power (JSPL) as part of a global tender. On August 15, JSPL submitted its first consignment of 1,000 tonnes to the Railways.